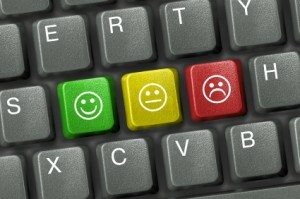 « Is It Time To Reconsider Sentiment Scoring? So I have been thinking about a parallel article that would apply in the social media space as people try to effectively read what is being said on mediums like Twitter and Facebook about their brand. Most often they end up with a tool that monitors for them brand mentions and breaks them into bite sized chunks of data and ranking them by sentiment. So consider the fact that raw sentiment as determined by machine is often only 65% accurate – to me this is dangerously close to 50% or the equivalent of a coin toss. In fact most social media analytics firms do something to “augment” their sentiment analysis to make it more accurate – usually involving human intervention. But in my estimation these firms are working on the wrong end of that equation. Why fix sentiment – its never going to be 100% accurate – since most people can’t agree on the spirit or intention of a tweet anyway and they never will. I think brands need to focus on the broader content being used about a brand. Brand managers pride themselves on understanding the audience that surrounds their brands. The Internet and now Social Media have spurred two of the largest shifts in consumer behavior in the last 15 years; analyzing online and social activity is now a requisite to accurately anticipate trends. And focusing on positive sentiment over negative sentiment ignores 50% of the conversation that was classified as neutral – I guarantee you that there are key learnings in there that any brand would want to focus on. In fact in our tests, only 10% was either positive or negative (obviously, that can vary from topic to topic or day to day), so even more than 50% of the posts were ignored. 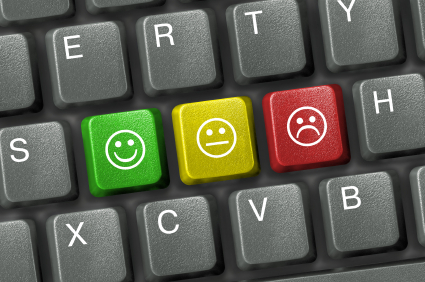 So I ask you again – is Sentiment Making Brands Stupid? 2 comments to Is Sentiment Making Brands Stupid? Wow excellent comment Mark – yes I guess its like driving only looking in the rear view mirror (reacting to what others do) then your strategy is truly not your own! Thanks for the comment and mention in your post!